How cute is this baby card? This is a swap I got from Carmen Ramirez at convention. 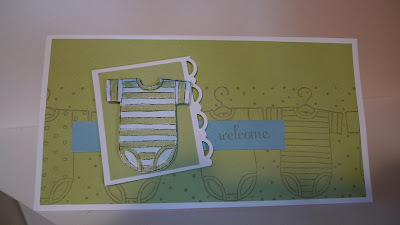 The image is from the Baby Tees Jumbo Wheel and I love how she added a diaper suit as the center of the card. This wheel would make great baby shower invites and baby thank you cards.